Reba McEntire announced via Facebook Live that the multi-talented entertainer will release a gospel album with BMLG/Cumulus’ Nash Icon and Capitol Christian Music Group on February 3, 2017. Pairing with the release will be McEntire’s first complete show at Nashville’s Ryman Auditorium, held on Feb. 15. The program is set to feature some of the new gospel music, as well as her greatest hits and attendees will receive a copy of the new album with ticket purchases. “Softly and Tenderly,” a song recorded with Trisha Yearwood and Kelly Clarkson, will be released on iTunes on Friday, Feb 16. McEntire co-produced the album with Jay DeMarcus of Rascal Flatts in his home studio and her band leader/musical director Doug Sisemore. Writers on various tracks on the project include Jessi Alexander, Sarah Buxton, Steve Moakler, Dave Barnes, Lucie Silvas, Jeremy Spillman, Chris DuBois, Ashley Gorley, Michael Dulaney, Jason Sellers and Neil Thrasher. “I Got The Lord On My Side” is a song written by McEntire and her mother Jackie McEntire. “I’ve been wanting to do a gospel album forever,” said McEntire. 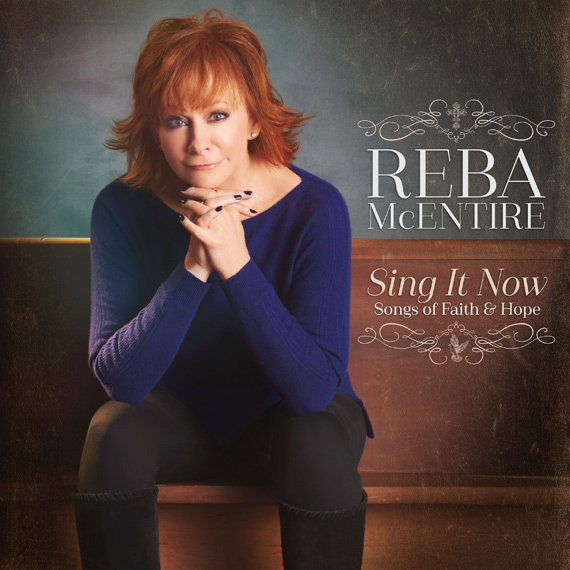 “Sing It Now was the perfect title for this album because the message and melody throughout the song connects the dots between the traditional hymns I grew up on and new music that has been uplifting for me in challenging times. Fans who pre-order the album can download a new track from the project on iTunes every Friday now through Feb. 3. Tickets for McEntire’s Ryman show will be available Dec. 15 at 6 p.m. CT at ryman.com.